This guide will walk you through configuring the X-Lite softphone to register directly to your SIPTRUNK trunk! 2. Once you have X-Lite downloaded and open, navigate to Preferences and then to the Accounts tab. 4. After saving your account settings, hop over to the Codecs tab and remove all codecs except for G711 uLaw. 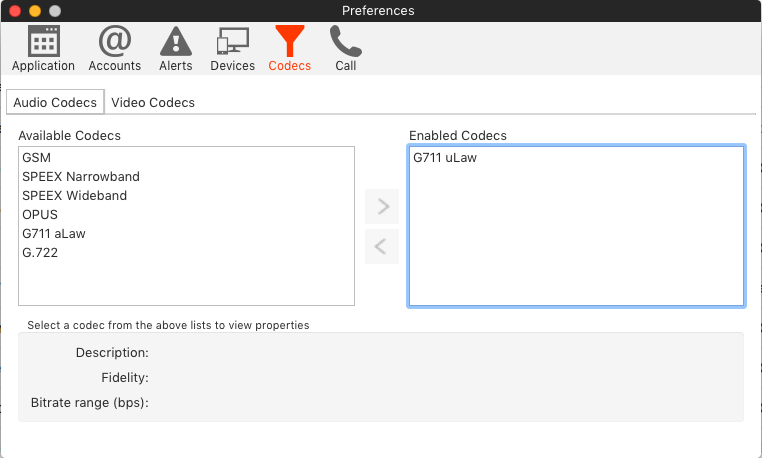 Your X-Lite is now ready to make and receive calls through SIPTRUNK!